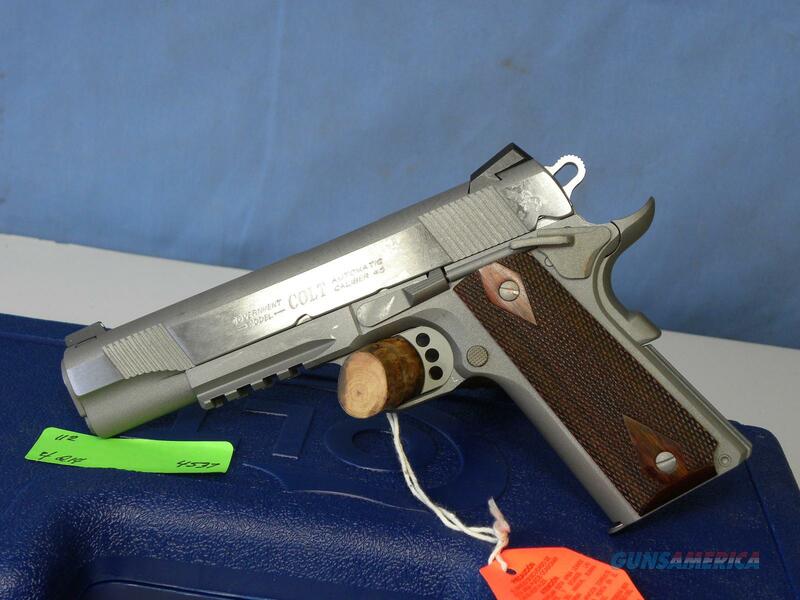 Description: NEW COLT 1911A1 GOVERNMENT MODEL NUMBER O1070RG PISTOL, FULL SIZE S/S RAIL GUN. HAS STAINLESS STEEL MATTE FINISH IN .45ACP, SINGLE ACTION TRIGGER, ROSEWOOD CHECKERED GRIPS, EXTENDED THUMB SAFETY, BEAVERTAIL GRIP, WHITE DOT CARRY SIGHTS, MILITARY STANDARD RAIL, ALLOY SPEED TRIGGER AND TWO 8RD MAGS. COMES WITH HARD CASE, MANUAL AND LIFETIME WARRANTY.